The history of underwater exploration is filled with striking personalities and noteworthy actions. However, with the emergence of scuba diving, underwater exploration took on a new form. Initially driven by commercial and military interests, underwater exploration with scuba would later grow to include recreational divers, who embraced underwater exploration as their life's passion and who sought to develop the best tools possible to complement their exploration needs. While the sport was in its infancy, and choices were limited, these divers did not vary greatly in terms of their equipment and configuration. Furthermore, given that training options at the time were also limited, these divers also shared very similar techniques. As more people took up scuba diving, however, variation in equipment, training, and equipment configuration grew. With ever-growing numbers of people finding pleasure in open water, no decompression diving, came a collective identity reflecting the interests of its participants-recreational diving. An entire industry would soon follow to serve these interests. Concurrently, another identity would take shape, one tied to a group of divers, some coming from within recreational diving, some from without, that pushed the limits of recreational diving, by committing themselves to the exploration of increasingly more demanding environments; e.g., ice, caves and deep wrecks. Over time, these two groups would diverge and each would follow its own trajectory. The somewhat vague (in part arbitrary) categories of "technical" and "recreational" diving were set up to describe these two trajectories. Given the different orientations of recreational and technical divers, it should come as no surprise that different training practices, equipment choices, and configurations would emerge to answer to the wants of each. The evolving idea of what it meant to be "recreational" led to some divergence regarding what one needed to know to remain safe during dives of minimal difficulty. Therefore, dive training tended to become shorter, with minimal treatment of topics such as gas planning, breathing gas concerns, decompression and crisis management. Likewise, this shift led to greater variation with respect to equipment choices and to how this equipment would be configured. However, the needs of technical diving required generally greater knowledge of these areas, more precision, more attention to detail, refined skills, practiced crisis management, a sound configuration, and well-crafted and well-maintained equipment. Conventions foreign to the recreational diving community, such as the "thirds rule," the use of a long hose, and the use of a redundant regulator, emerged expressly to address the needs of the technical diver. However, in time, it became apparent that the more precision and the more proficiency that were required to pursue eXploration-level technical diving, the more need there was for a unified system. This is because it was impractical, if not impossible, to operate efficiently as a team if individuals were not functioning under a common set of constraints. Regardless of environment, there exists substantial variation among divers with respect both to the value they place upon efficiency and to how intensively they seek to extend the limits of their diving practice. I would argue that what position divers take on issues of efficiency is largely tied to the nature of their diving. For instance, it is clear why early divers did not consider the need for standardization urgent. This is because their diving was less aggressive and, thus, less likely to call attention to the value of efficiency. However, as diving becomes more aggressive and more complex, the benefits of precision and efficiency become progressively more obvious; individuals undertaking such dives quickly realize the benefit of standardizing nearly all aspects of their diving to make it more efficient. So, when evaluating different equipment configurations -- from those used in the early days of underwater exploration, to those representing general Hogarthian ideas, to the evolving principles of Doing It Right-it would be useful to keep in mind the ties linking efficiency to complexity. As a greater number of divers (both recreational and technical) discover the value of efficiency as a means of improving the quality of their diving, standardization, in both training and equipment, seems the likely future of diving practice. The public first became aware of the movement toward standardization, and of its value, when the Hogarthian diving system became popular. 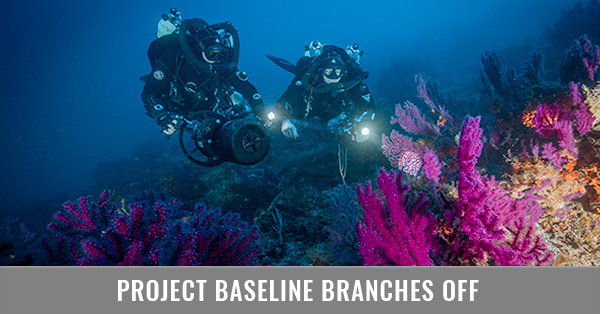 This scheme was composed of a rough set of ideas and equipment recommendations that served as useful standards for measuring desirable aspects of diving configurations. Cultivated by a small collective of cave eXplorers -- e.g., Bill Gavin, William "Hogarth" Main, Lamar English, George Irvine and myself -- the idea behind this "system" was that there were preferred methods of configuring equipment, and that these methods had a profound effect upon diving efficiency. Bill Main invested considerable time seeking the most streamlined configuration possible, which resulted in his middle name being chosen to represent the overall "system." Though useful, the Hogarthian system did not require the use of a specific piece of equipment or a particular configuration. Therefore, it did not provide divers with an objective diving standard that would ensure efficiency in the water and was thus limited in its utility. However, by promoting the idea that a careful selection of equipment and configuration could substantially impact the success of a dive, Hogarthianism introduced a dynamic, new paradigm to divers and encouraged them to seek improvement through minimalism and streamlining. Armed with this new perspective, many divers (myself and the above explorers included) sought to assemble the most efficient equipment configuration possible, often sharing our findings with the public at large. Rather than provide divers with an objective standard to assemble their configuration, Hogarthianism offers a loosely knitted set of ideas that, in the interest of diver efficiency, promotes an ethos of careful gear selection. However, this lack of an objective standard does not permit divers to understand what exactly constitutes a Hogarthian diving configuration; instead this "system" varies according to how different advocates of Hogarthian diving see the links tying together equipment, streamlining and efficiency. This disparity of opinion, along with Hogarthianism's singular emphasis on equipment (versus general diving practice) has led to considerable confusion among the diving public (it is extremely difficult to standardize, in both theory and practice, what, in all respects, is largely subjective in nature). Eventually it became clear that both a more complete system and greater standardization were needed; to be as useful as possible, the components of the system would need to be objectively arrived at and standardized. George Irvine and I, having worked extensively with the Hogarthian system, and having written extensively about it, worked toward this new paradigm. This new paradigm emerged as Doing It Right or DIR. As the first holistic diving system ever crafted, Doing It Right began to gain significant popularity in the mid-1990s; a key component of its success was the detail and care that guided its growth. By adhering firmly to standardization, DIR initially faced opposition from diving quarters that saw the loss of "personal preference" as a notable sacrifice. Even so, with the gradual recognition that it is impossible for a team of divers to be efficient in the water without notable uniformity in equipment, training and configuration, opposition began to erode and today continues to erode. This is because divers have begun to realize that in terms of wasted energy and effort there is a significant penalty for stubbornly seeking to maintain an individual "style." Why reinvent the wheel alone when there is a proven system that ensures safety, efficiency and success in the water? Because DIR's insistence on standardization is frequently misunderstood, it sometimes becomes a source of tension among divers. This is because some see the insistence on uniformity as an indictment of practices that do not abide by DIR principles. However, there is nothing essentially hostile or critical about DIR; in its most basic form, it is ultimately pragmatic, promoting the concept of uniformity within and among teams of divers. However, to be fair, there is a certain degree of legitimate tension generated by imprudent advocates ofDIR, who, having personally benefited from the system, take it upon them to become almost evangelical in the promotion of what they understand to be its tenets. However, this is not an intrinsic weakness of DIR; all successful movements have their zealots. DIR, by crafting a set of objective standards meant to regulate diving practice, triggered a paradigm shift in diving, one that will forever modifY the way that divers evaluate their diving. It is now part of our ethos to believe that divers acting cohesively and with shared purpose are more efficient. Nonetheless, considering standardization in isolation is unfair to the system's holistic approach. Central to the DIR diving system is the concept of a unified team. This system pairs divers of similar capacity within an environment that they are properly prepared for. Teams of individually capable divers produce a level of safety and efficiency beyond what is capable while diving independently. Few things are as rewarding as diving within a group that maintains a similar degree of care and focus. Any diving activity where the concept of a team is marginalized will always fail to maximize its potential with respect to fun and safety. For DIR, preparation for diving involves five primary components. These are: pre-dive preparation, mental focus, physical fitness, diving experience and dive planning. Divers who try to circumvent any of these areas are not adequately prepared for the dive and stand a good chance of experiencing reduced comfort, a missed dive opportunity, or even a dangerous situation. With ill effects, far too many divers assume that dive preparation begins the day or even hours before the dive. The elements comprising a standard DIR equipment configuration have been endlessly discussed and are now well known. For those seeking more information on this subject, please refer to my book, Doing it Right: The Fundamentals of Better Diving. In short, the DIR configuration was designed to work in all situations and to ensure safety and promote a diver's efforts, not undermine them. Streamlined and minimalist in nature, the DIR configuration was designed to maximize a diver's efficiency while minimizing his/her risk. Items should not hang free or protrude from the diver's body, increase drag or cause entanglements. The DIR rig is a carefully weighted rig; one that ensures that while a diver is not overweight, s/he is able to hold a decompression stop in the face of a catastrophic gas loss. This requires a careful assessment of the component parts of one's configuration, and how these each impact-statically and dynamically-on the buoyancy characteristics of the configuration as a whole. DIR embraces the uniform practice of marking cylinders with the Maximum Operating Depth (MOD) in a clear and easily identifiable manner, and utilizing only this data to identifY bottles. This practice prevents divers from becoming accustomed to unreliable identification procedures. DIR promotes reliance on standard gases for all phases of diving. Standard gases help to insulate divers from the risks of inappropriate gas ratios, provide a common platform for cylinder marking and gas mixing, ensure team symmetry and vastly simplifY decompression logistics. DIR promotes conservative gas parameters for all phases of diving. Among these are: ENDs of < 1 00, working P02s of 1.4 and less, P02s of 1.6 and less for decompression. To offset the toxic effects of oxygen, nitrogen and carbon dioxide, DIR recommends the liberal use of helium together with the conservative use of oxygen. To a careful reader, a casual review of diving history will reveal a movement toward greater standardization. DIR's place in history is assured given its role in introducing a new paradigm to the diving public, one where standardization provides divers with the key to efficiency, safety, enjoyment and success. Though there is still variation among divers, in time, the desire for proficiency will force them to migrate toward a known paradigm that through its insistence on standardization ensures phenomenal success in both extreme diving projects and recreational venues. For this reason, the trajectory that the history of diving will follow will speak volumes to the effects of the DIR movement. However, as with all great movements, comes inevitable corruption and fragmentation. Today, DIR has spread to every corner of the globe, with self-appointed DIR groups emerging in dozens of different countries. Given their physical separation, their lack of centralized direction, their own specific agendas, beliefs, power struggles and constraints, these satellite groups cannot help but to promote a version of DIR that is uniquely their own. This version of"DIR" will likely have little resemblance to the original. This will be the case, however well-intentioned, however devoted to the founding principles of DIR, these satellites may be. The unavoidable division of DIR is the result of many factors, ranging from breakdowns in channels of communication, to differing interpretations, to personal agendas, to private experiences, to power plays, to simple disagreements among proponents. As individuals and groups appropriate DIR they will often make choices very different from those that I and other founders of D IR would have made. It is now necessary for us to recognize that DIR will be repurposed by those it has influenced in ways that serve their own interests. Nonetheless, in the end, I believe that these systems that appropriate DIR can only benefit the future of the diving industry. Even so, I believe that to enhance the safety, fun and efficiency we sought to ensure when we first started to build DIR, it is necessary for us to ensure greater standardization across a series of domains. From the outset I believed that a diver's training, his/her equipment, his/her configuration, his/her knowledge and skill set should all contribute to greater safety and enjoyment in the water. For this reason, I founded GUE. The DIR system is at the core of GUE training. This is not surprising, given the extent to which my efforts helped to shape both DIR and GUE. 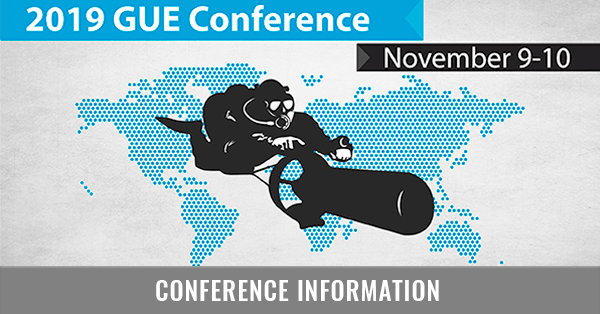 However, with the passage of time, GUE has shaped its own identity, one that is not identical to that of DIR. And though being DIRis a necessary condition of being a GUE diver, it is not a sufficient condition; it is not enough. 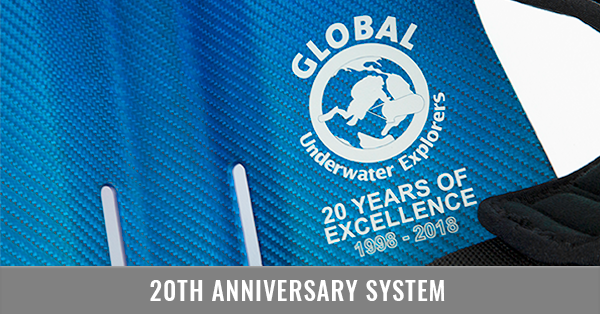 There is more to being a GUE diver than being DIR, among other things, it entails a standardized measure of competence (training) and commitment to both civility and non-smoking, aspects to which DIR in-itself does not speak. Over time, GUE Vice-President and long-time DIR supporter Dr. Panos Alexakos and I came to see that there was really no way to reign in the particular interpretations of the ever-growing numbers of DIR advocates and that it would be a waste of resources and energy to struggle with them over the correct interpretation of DIR. With this in mind, we have struck out on a new road, a distinctly GUE road that looks fondly upon DIR as the foundation that can empower the organization toward a new and unique future.